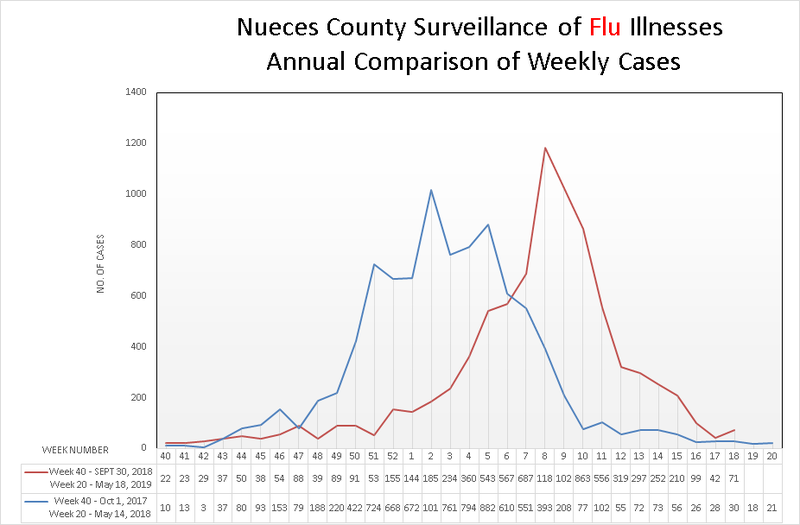 The Centers for Disease Control recommends flu vaccinations for anyone six months and older. The vaccination not only protects the individual but also family members and the community. The cost of the flu vaccine is $20 (cash, credit card, debit card, or check accepted for payment). The Flu vaccine is available while supplies lasts. People over 65, pregnant women, young children and people with chronic health conditions are most at risk for complications and are urged to get vaccinated. 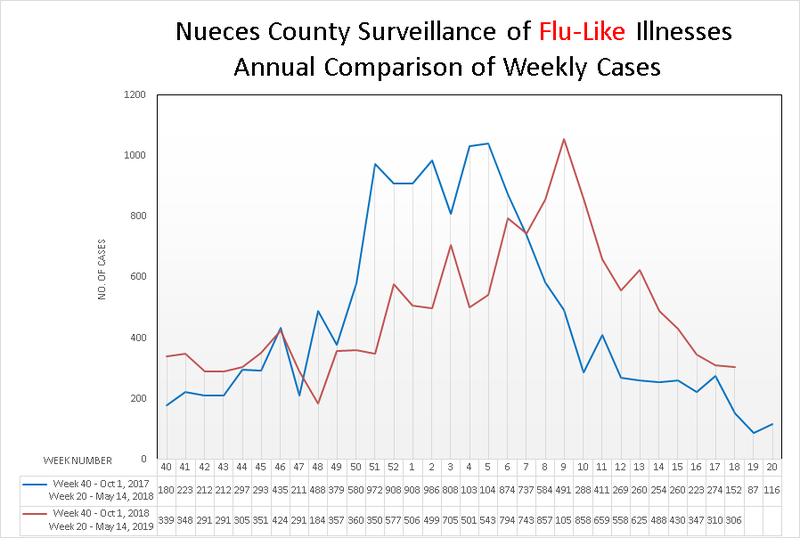 People with flu-like-symptoms need to seek prompt medical attention. Symptoms of the flu include high fever, coughing, severe headache, sore throat, aches, chills, and fatigue. ID is required on all clients or parents/guardians. Children under the age of 18 must be accompanied by a parent or guardian. Monday-Friday: 8:00 a.m. to 11:00 a.m. and 1:00 p.m. to 4:00 p.m.
First Monday of the Month: 8:00 a.m. to 11:00 a.m. and 1 p.m. to 5:30 p.m. Phone: (361) 826-7238 to schedule an appointment.